Panoramic Mountain Views at The Reserve! This immaculate Ministrelli built Desert Villa is situated on a private lot with spectacular golf course and mountain views! This premier property is 5,082 square feet, with 4 Bedrooms, 4.5 Bathrooms, including a super casita, and a 20,473 square foot lot. As you enter the tranquil courtyard, you'll notice the cactus garden and stately oversized front doors. The interior offers an open floor plan, high ceilings, custom built-ins, travertine flooring, granite countertops, and large sliding glass doors leading to the outdoor living area. There's also a spacious casita where your guests will enjoy a luxurious living room, kitchenette, and bedroom suite with fireplace. 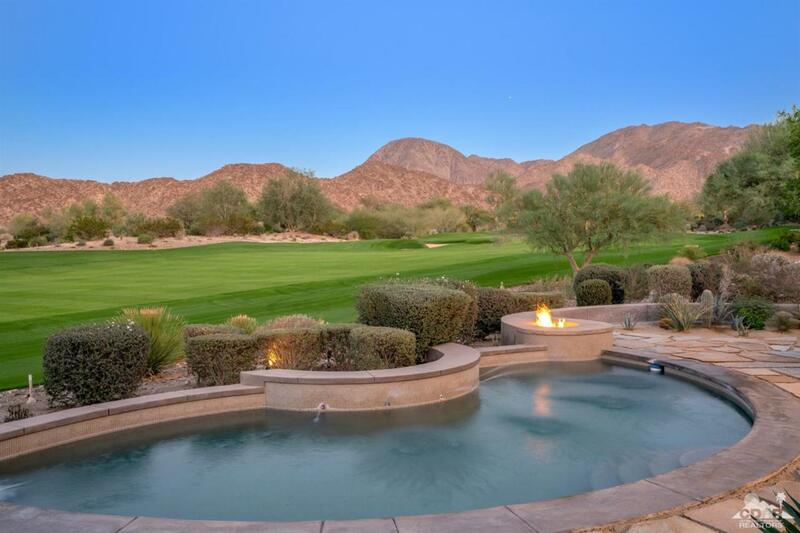 The tranquil outdoor living area has room to relax around the private pool and spa while overlooking the 5th fairway and surrounding mountains. This home is offered nicely furnished. The Reserve is a private club with world class amenities. Cross Street Address Portola And Reserve Drive. Listing provided courtesy of Keith Blomgren of Bennion Deville Homes.